During the 3-year siege of Deir Ezzor, one woman coordinated an underground cell network of educators that taught in cellars, mosques, and homes. Even before the civil war that tore the country apart, Deir Ezzor in Eastern Syria - an area of 33,000 km that was home to 1.25 million people in 2011 - was marginalised and underfunded. Deir Ezzor City was one of the first centres of popular uprisings when the then-peaceful Syrian Revolution broke out. In the years since, the region has seen more violence than perhaps any other area of Syria. By July 2014, ISIS had gained control of almost all of Deir Ezzor, where - within months - nearly all semblances of society had been strangled. Pulitzer-winning photojournalist Yannis Behrakis - responsible for many of the most impactful images from the Syrian War and refugee crisis and who passed away recently - said that his mission was to make sure that nobody can say ‘I didn’t know.’ And thanks to the near-constant media saturation of ISIS violence over the past six years, we all do. Through the public executions ISIS itself forced to go viral, the mass graves still being unearthed, the genocide and enslavement of Yazidis, and the constant barrage of horrific images, we all know. 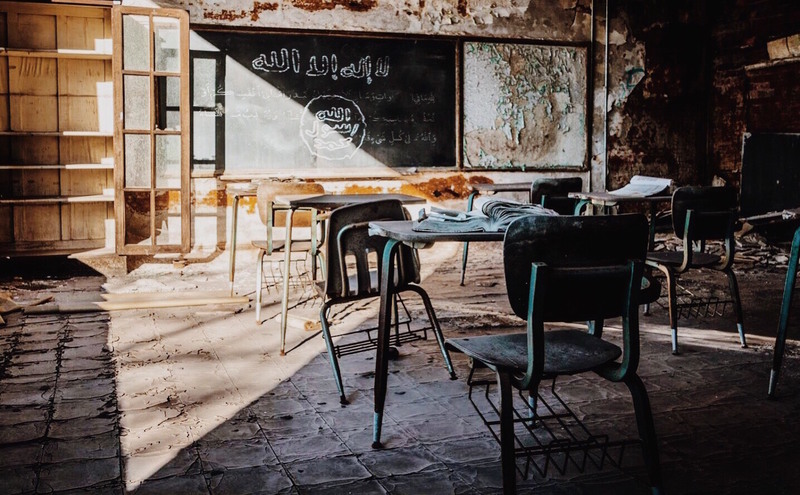 However, an underground cell network of educators who - throughout the siege of Deir Ezzor which took place from 2014 to 2017 - secretly kept education alive, remains one aspect of life under ISIS that has gone untold. In cellars, mosques, and homes, under constant threat of abduction and public execution, a secret education operation catered to a generation only now being liberated, as the last strongholds fall in Eastern Syria today. 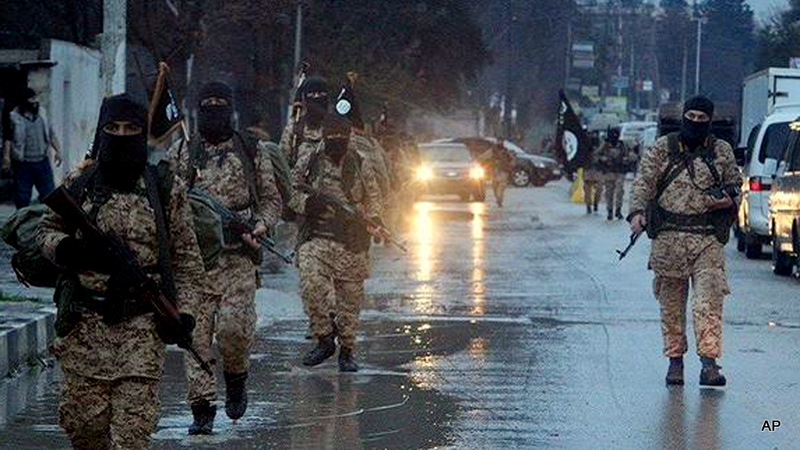 ISIS troops patrol Deir Ezzor city, which is now controlled by the Syrian regime, courtesy of Associated Press. 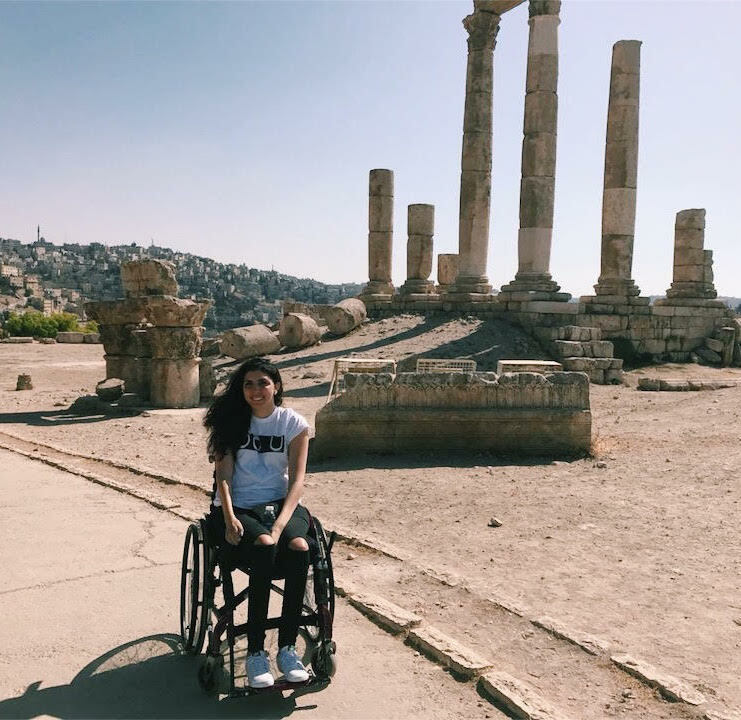 Khotowat Foundation for Social Development was established by Lamiaa Suleiman, an educator, author, and former journalist from Deir Ezzor who became involved with civil society and youth in 2013. 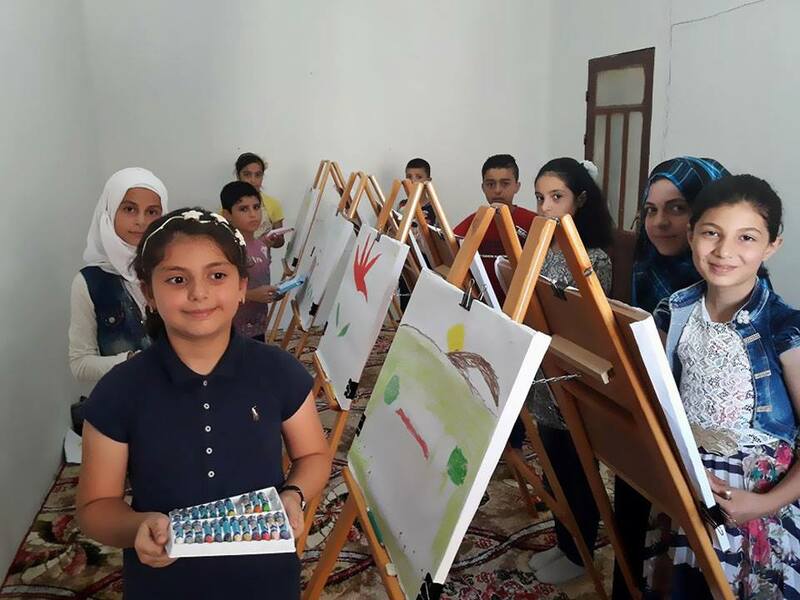 Before ISIS took control, Khotowat had been working to support education, offering psychosocial support and arts activities in schools. 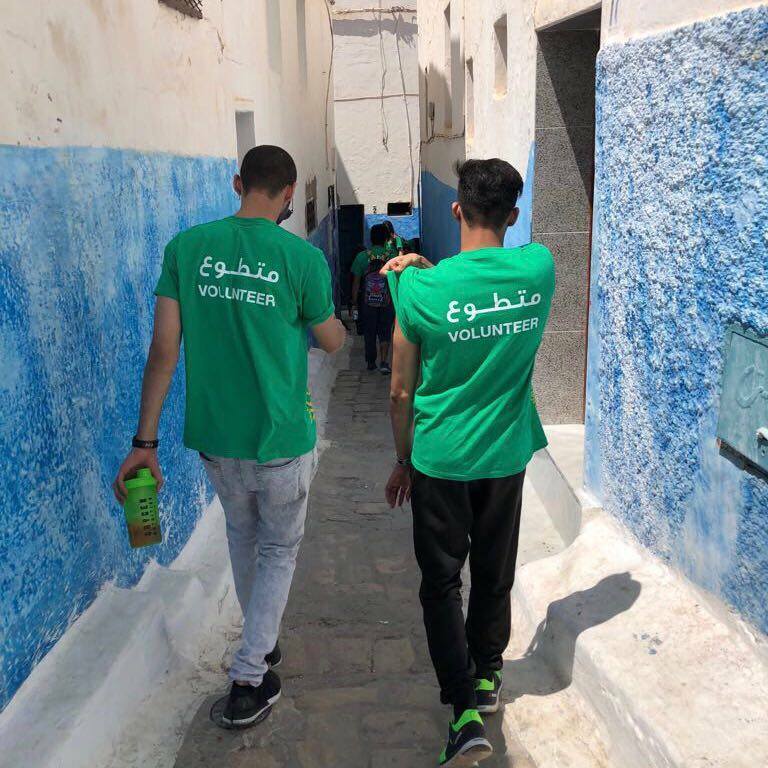 After the revolution broke out and violence began to escalate, Suleiman and her husband found that this intervention work needed to be rerouted to protect a generation increasingly at risk. Even in 2013, many working in civil society in Deir Ezzor - who up until then had only been hoping for a peaceful revolution to correct decades of injustice - could see the collective trauma they were heading towards, and rallied around Suleiman's initiative. We started working underground, in homes, in mosques, in cellars [...] it didn’t matter where we were, but just that education continues in some way or another, outside their indoctrination camps. It was with this cadre of professionals that Suleiman and her husband built what was to effectively become a guerrilla operation of education. After fleeing to Turkey (and then to Germany), Suleiman leveraged her existing network of trustworthy educators, artists, and organisers, with whom she had worked before the war, to create the underground cell network that would survive for most of the siege. No one who was educating knew about those working around them, in case they were abducted and tortured by ISIS to disclose information. 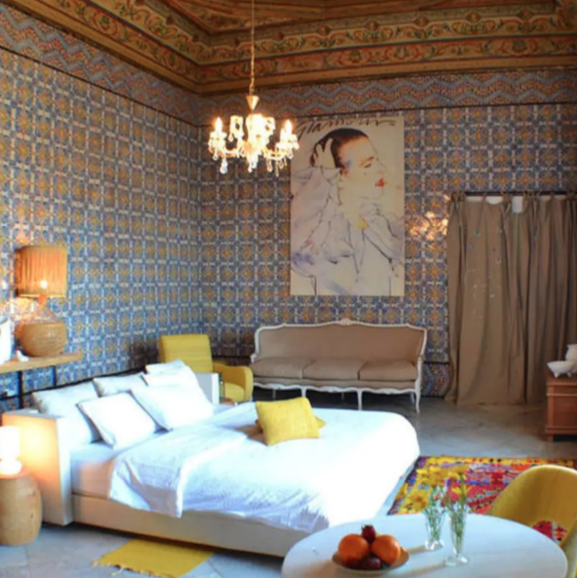 All coordination happened remotely, through Suleiman herself, through encrypted messages and secret deals with internet providers. 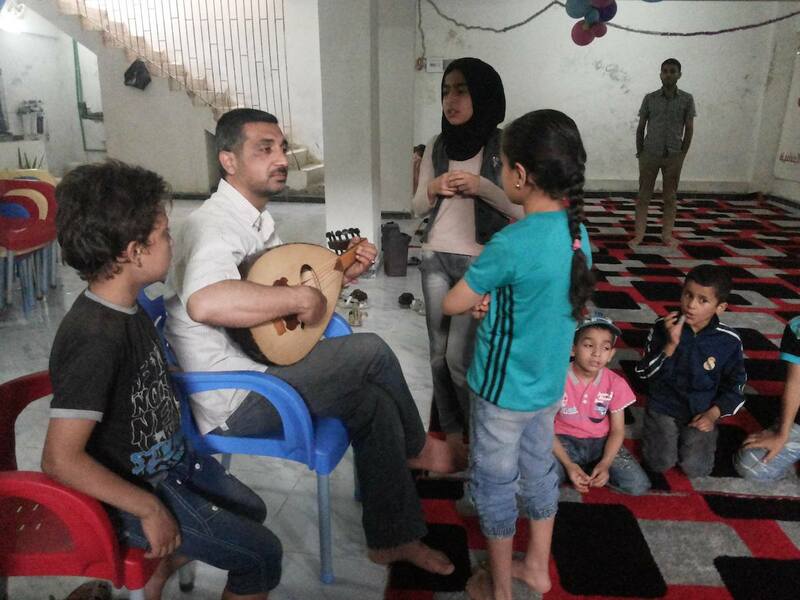 Until 2016, when their team was in danger of discovery and they had to evacuate, Khotowat was a network of an average of 80 educators secretly teaching children throughout Deir Ezzor. Our fear of their indoctrination camps, of ISIS growing and winning, was far bigger than our fear for ourselves. Art class, courtesy of Khotowat. The mere suspicion that you were ‘receiving foreign funding’ was enough to kill you, an accusation we lost many of our friends to. 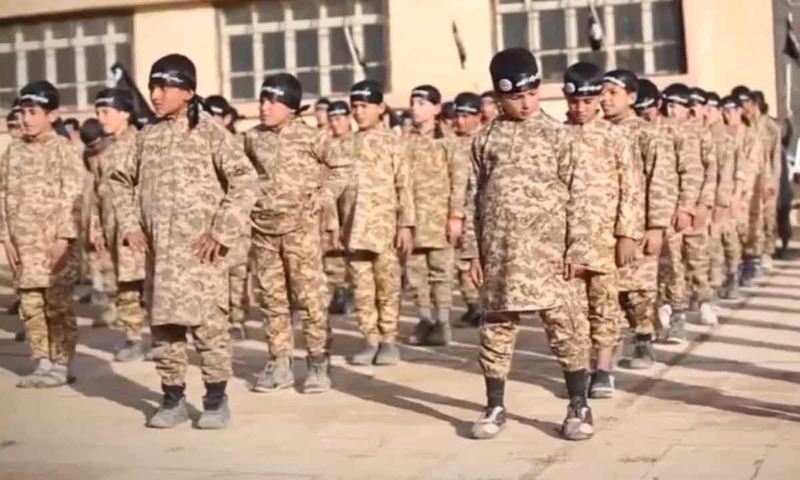 Training of child soldiers, still from ISIS video. A central aspect of ISIS control - and therefore the nexus of the resistance against it - was its system of indoctrination and socialisation of the next generation, which would ensure the survival of its organisation. The schools that ISIS allowed to continue operating were forced to teach particular curricula that focused on religious education and socialised against any ‘deviant’ infractions. One headmaster of a school that Khotowat was secretly supporting, Suleiman tells us, was sentenced to public lashing because one of his teachers had nail polish on. To the question of whether the teacher received a sentence, Suleiman simply says she was ‘violated in other ways.’ ISIS’ socialisation techniques were so effective that children were encouraged to act as informants against their parents and close circles. The system Suleiman had built was an underground parallel to ISIS’s violent education system, expressed in its most extreme form in its indoctrination camps. In camps throughout Deir Ezzor (which refugee stories and UN reports indicate were replicated throughout Syria and Iraq) ISIS trained groups of children they called ‘the Cubs of the Caliphate.’ Children as young as 6 were being recruited for a religious education of fundamentalist interpretations of sharia, and trained to carry out military operations. Anyone who had anything to do with civil society became a target. They killed hundreds of people. Child soldiers execute 25 Syrian government soldiers in Palmyra, May 2015, still from ISIS video. What kept us relatively safe was this: there was no one working, say, in a village, who knew about the person working in the next village over [...] so that, God forbid, if someone is abducted or pressured by ISIS, they couldn’t give them any information about our operations or the people working around them. Because Suleiman was coordinating everything remotely, Khotowat needed to also navigate the minefield of surveillance that ISIS had set up. The public internet cafes that had been in use before the occupation had been shut down or were closely watched, which necessitated a certain creativity to ensure safe communication. In addition to secret deals with internet cafe owners who would allow the team to use their computers unnoticed, all of the messages sent back and forth were sent in code, encrypted so that even if they are discovered, they would not be legible. Equally important was the team itself, with Khotowat only bringing aboard people within the network that they could trust not to - either maliciously or accidentally - leak information to ISIS. By 2015, it was clear to the Khotowat team that the violence was only going to get worse, potentially endangering every one of them. 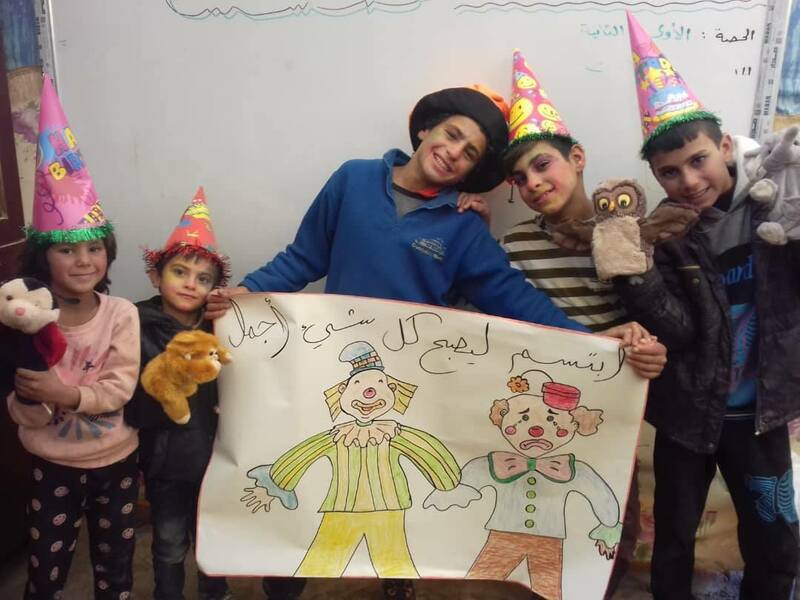 Suleiman and her team began preparing their work in Idlib in northwestern Syria, building schools and preparing for anti-fundamentalist socialisation and psychosocial support for traumatised children. Over the next few months, they would evacuate any person working in Deir Ezzor who was starting to come under imminent danger. Before ISIS seized control, one of Khotowat's projects was a caravan that moved throughout the countryside offering art workshops. By 2016, when it was officially discovered that Khotowat had remained present on-ground in Deir Ezzor, the last of their team had been evacuated. Until July 2017, when most of Deir Ezzor was liberated from ISIS by the US-supported Kurdish-led alliance Syrian Democratic Forces (SDF), her team was active in Idlib, mainly in children’s literature. 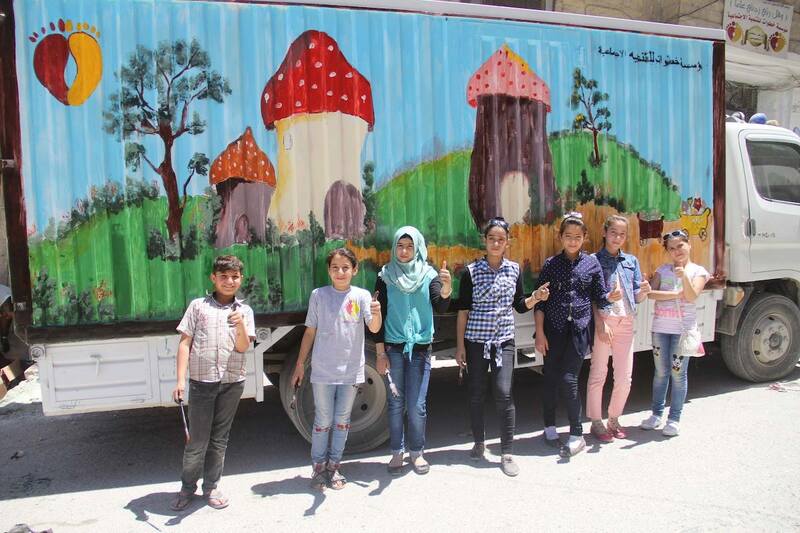 They printed and distributed tens of thousands of children’s books that taught coexistence, tolerance, and anti-extremism to displaced children in camps and cities in northern Idlib. After the SDF operations that regained the area, the entire evacuated team chose to return to Deir Ezzor, to start their second project, Bedaya, which focuses on healing the broken social fabric that ISIS had left behind. There’s an ambivalence to the team’s purpose, reflected in Suleiman’s reflection on her organisation’s names. 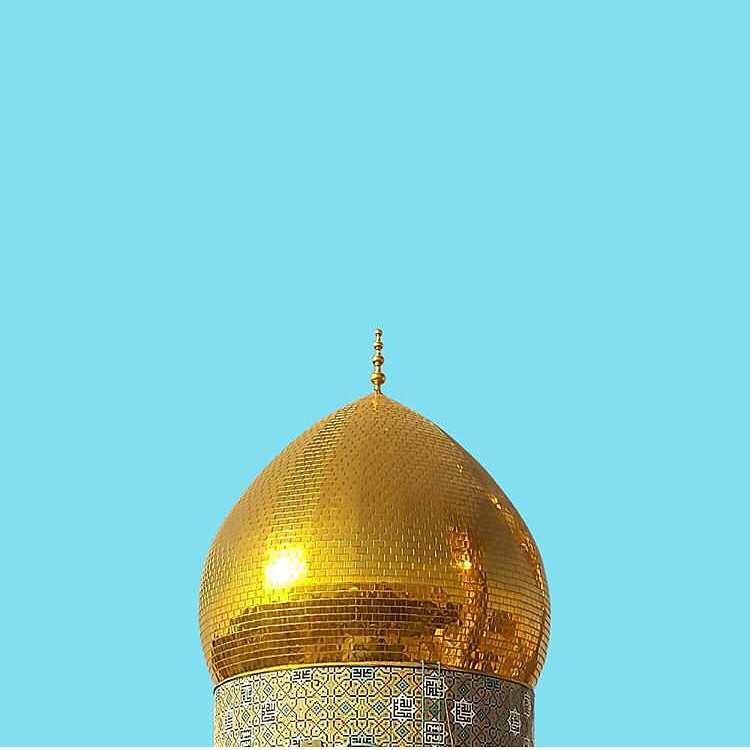 Khotowat, which means ‘steps’, is named in honour of everyone who was working towards a different future in the revolution and the years succeeding it, but had their paths cut short, by death or forced disappearance. Bedaya, on the other hand, means ‘beginning.’ “After ISIS left Deir Ezzor, it’s like everything was born again. So we chose the name in the hopes of it being a new beginning for our home after ISIS.” This attitude can only ever be bittersweet, however, as Deir Ezzor today is home to thousands of displaced children, a traumatised society, and a destroyed system. 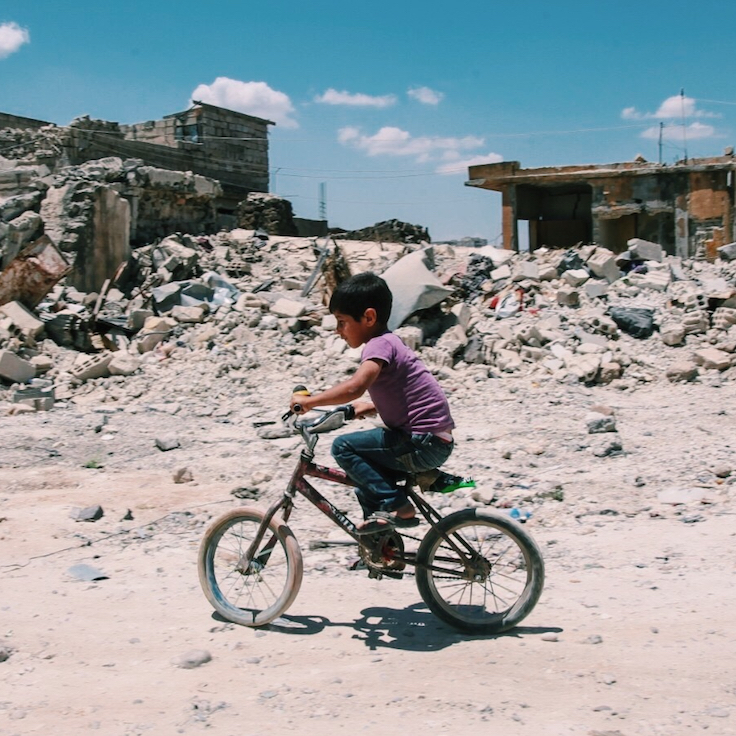 “When ISIS leaves, they leave both the homes and their people in ruins,” Suleiman reflects on one hand. 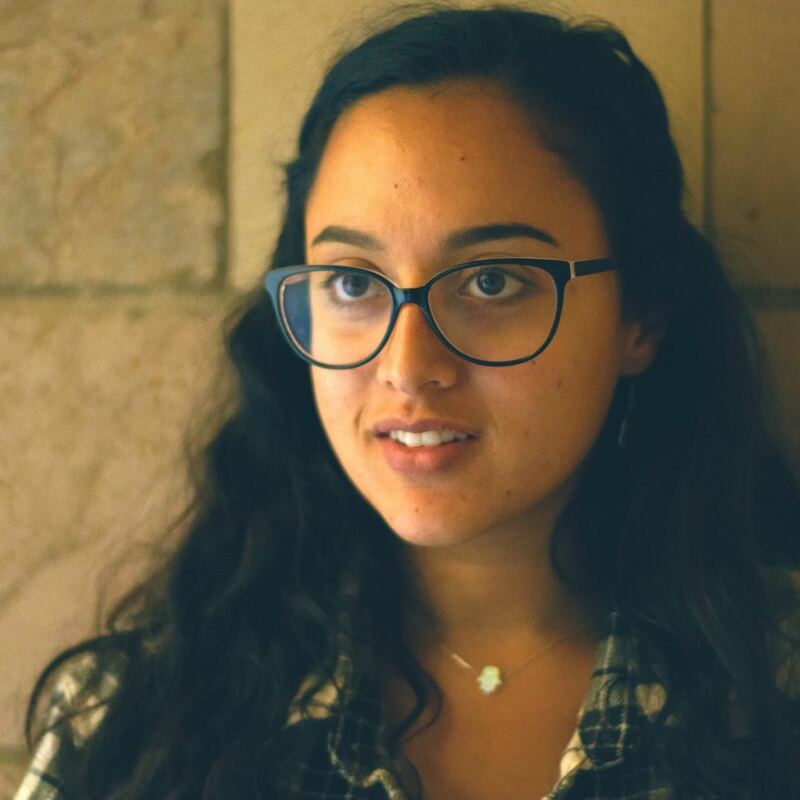 Stay tuned for Part 2, on the still-underreported story of what happens after ISIS leaves, and Bedaya’s work to bring back the children that for years bore witness to violence, and themselves were socialised to commit it. Main image: adapted from original photo by Ken Fager.